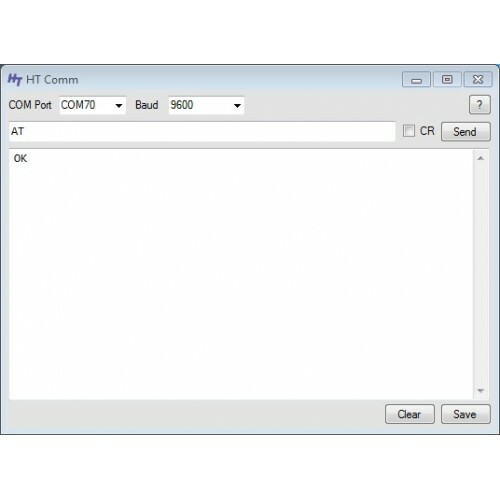 This is a simple Serial Port Terminal Program that allows you to send text strings via a serial connection to an attached device. It is similar to the Serial Monitor that is part of the Arduino IDE. 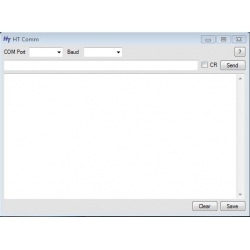 It came about because there are a number of devices that need to be configured by a serial connection but act on the command sent based on a timeout (commonly 1 second) rather than a carriage return character. These sorts of devices include bluetooth modules. As it is virtually impossible to type a command of say 10 characters within the 1 second, we needed a program where you could pre-type the command and then send it. The Arduino Serial Monitor works this way. We tried to find a program on the internet, but they all came up short in some respect. The popular Brays Terminal for instance wouldn't list some of the higher numbered serial ports on our PC. So we wrote our own. You can download it and use it free.